Emmakal: What If You Could Prevent Childhood Dental Problems? What If You Could Prevent Childhood Dental Problems? 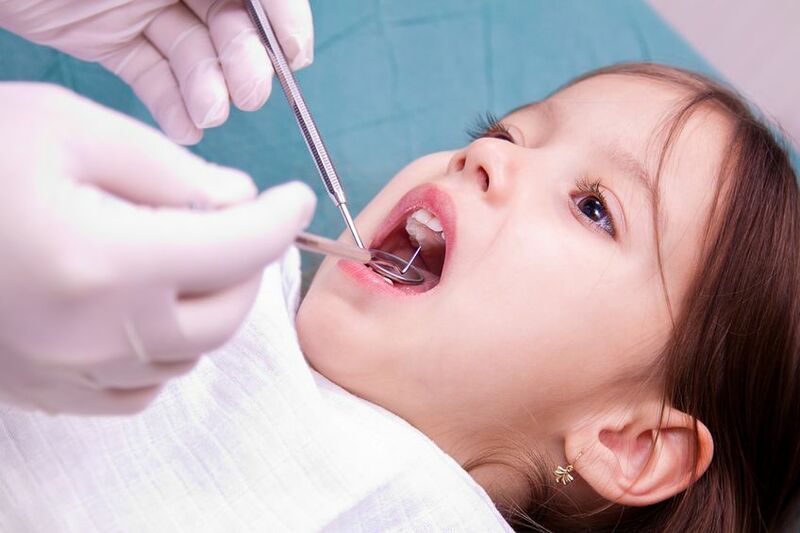 If you have ever had to explain to a young child that they need a tooth removed or dental fillings, then you will already know it isn’t a pleasant task. So, what if you could prevent dental problems and were able to keep your kid’s teeth strong and healthy? You’d almost certainly jump at the chance, but, there is nothing complicated in preventing dental disease in kids. With the right preventative dental care from a good pediatric dentist, your child will have a healthy smile. With some dedication from you, there is little reason why your child cannot grow up with healthy and cavity-free teeth. Even if they already have some dental problems, it is never too late to begin a new regime of dental care and this could help to save their adult teeth. Taking action now could set your child on the right path to enjoy great dental health for life. This not only increases their chances of having a healthy smile and all the benefits that can bring but will help to protect their overall health. One of the most common dental diseases is gum disease, a condition that causes tooth loss. Gum disease in its advanced stages can increase the risk of general health problems. Advanced gum disease or periodontal disease can increase the risk of developing or of worsening many common health problems. These include rheumatoid arthritis, diabetes, and cardiovascular disease. Children have very different needs to adults which are why it is always better to take them to a pediatric dental office. A pediatric dentist is the very best person to treat a child. This is because they have spent years completing specialized training enabling them to address the very specific needs of their small patients. 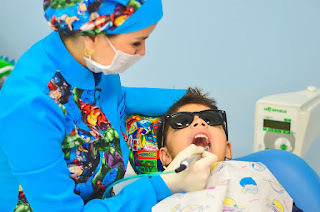 Additionally, a pediatric dental office is equipped in a way that is quite different from a general dental office. It has smaller chairs and child-sized tools to help make the experience more comfortable and much more non-threatening. You’ll also notice that a pediatric dentist relates incredibly well to children. 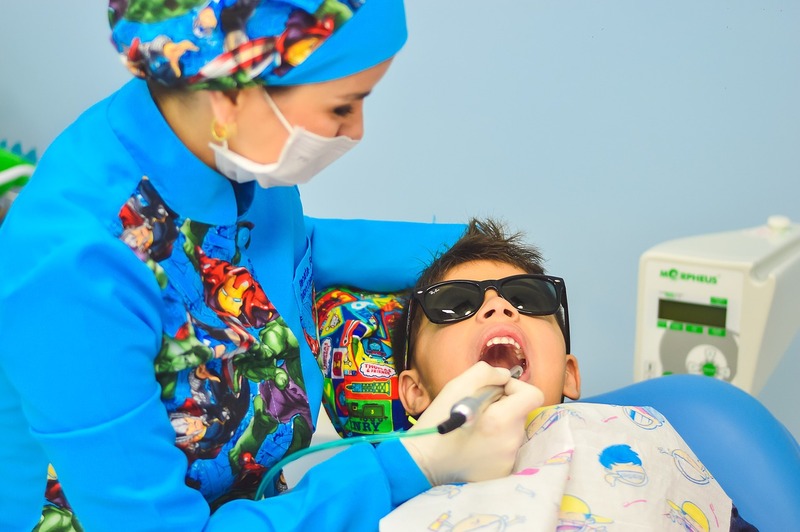 If your child does need any treatment or when they need any help or tuition about their dental care, a pediatric dentist can provide it in a way that is easy. It will be easy for them to understand and it will be much more enjoyable. The idea is to make learning fun. Good preventative dental care begins with a checkup. During a checkup, your kid’s mouth will be carefully but gently examined for any signs of disease. The dentist is also looking at the way your child’s teeth and jaws are developing. These problems can be caused if your kid has any oral habits such as a finger or thumb sucking or if they are a mouth breather. These habits can affect the development of their teeth and jaws and sometimes early orthodontic treatment can be useful. Based on the results of your child’s very first checkup, your dentist will provide a customized prevention plan. This shows how frequently your child should visit their dental office. It also shows details of any other treatments they think will help keep their teeth and gums healthy and strong. Most children will need six monthly checkups but if your kid has any ongoing dental problems then they may benefit from more frequent visits. At every checkup, it’s worth getting your child’s teeth professionally cleaned. If you regularly visit a dentist, then it’s likely you have your teeth professionally cleaned at least twice a year. This is to remove any hardened plaque or tartar from teeth which help keep your teeth and gums in great shape. Prophylaxis reduces the risk of gum disease and tooth decay and your kid needs regular professional dental cleanings for exactly the same reasons as you. During this appointment, it’s also possible for the hygienist to identify any areas your child might be missing whenever they brush or floss their teeth. This will allow your dentist to provide personalized oral hygiene instructions to help your child brush in the most effective way possible. If they do need any tuition on how to brush and floss then you can be sure it will be done in a way that is entertaining and fun. Regular brushing and flossing will do a lot to keep your child’s teeth healthy and strong. There are treatments that can help provide a little more protection. Fluoride is a great way to protect young teeth as it helps to harden tooth enamel, reducing the risk of cavities. Your pediatric dentist can apply fluoride topically to tooth surfaces in the form of a varnish. This is a quick and painless treatment as the varnish is simply painted onto newly cleaned teeth. It must be left in place for several hours or even overnight before your child can brush it off. During this time, they will still be able to eat and drink normally. Back teeth are often prone to developing cavities and if you look at them you will see why. The chewing surfaces have lots of grooves and fissures that are quite tricky to keep clean and which can easily trap food and bacteria. Dental sealants are a fantastic way to protect these surfaces and are generally applied to a child’s adult back teeth soon after they emerge. This includes the molars and premolars. It’s essential to do this treatment at this stage because dental sealants can only be applied to teeth that do not have cavities or fillings or any signs of decay. Treatment is every bit as painless as fluoride varnish. Firstly, the tooth surface is lightly etched before the etching liquid is washed off in the tooth is dried. The dental sealant is then painted onto the tooth surface where it soon hardens or it can be hardened with an ultraviolet light. This creates a thin, durable yet nearly invisible smooth film over the tooth surface. Treatment makes it easier to keep teeth clean and it doesn’t interfere with their bite. All these treatments will help keep your kid’s teeth in great shape. You will also find your pediatric dentist can offer lots of advice and information about children’s dental care. They can even talk to you about their dietary needs and how particular diet choices can influence their dental health. With the right kind of dental care, there is no reason why your child shouldn’t enjoy great dental health for life.